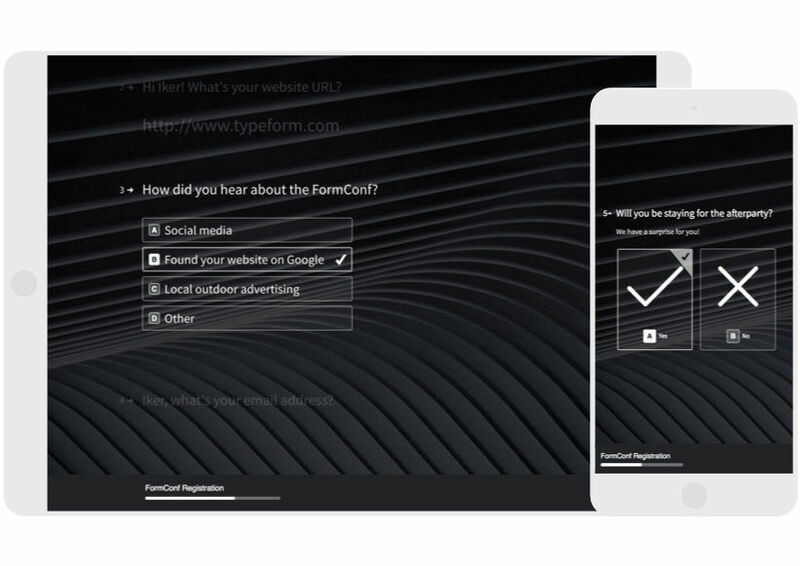 TypeForm is a Data collection tool used by Professionals to engage their audience with conversational forms & surveys. 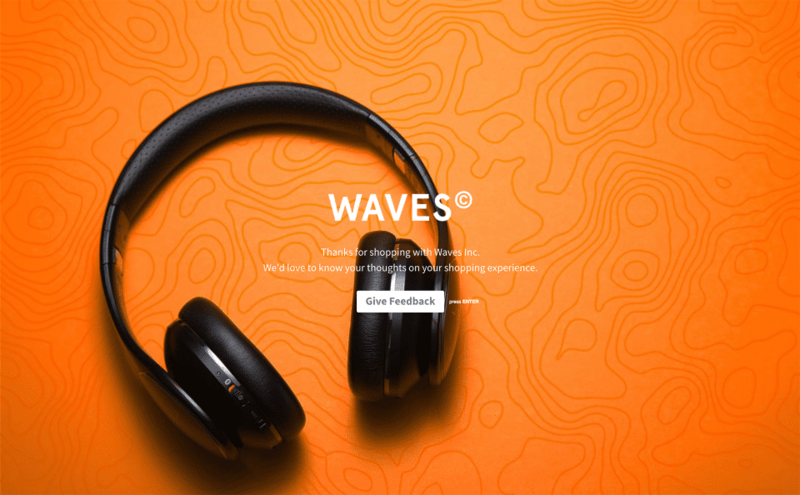 It is a user-friendly platform that enhances customer's experience with Online quizzes, Order Forms, Survey Maker, Form Builder, Lead Generation, Survey & Questionnaire Templates, Form Templates, and Survey Questions. 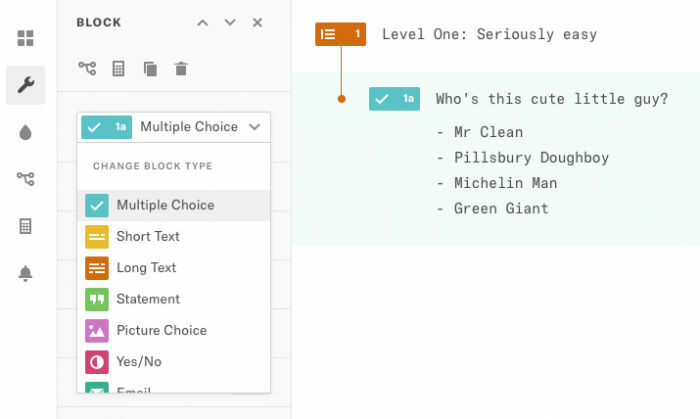 The software integrates with built-in Google Sheets, MailChimp and 500+ integrations with Zapier. The software supports every device. How much does Typeform cost ? The pricing for Typeform starts at $30.0 per month. 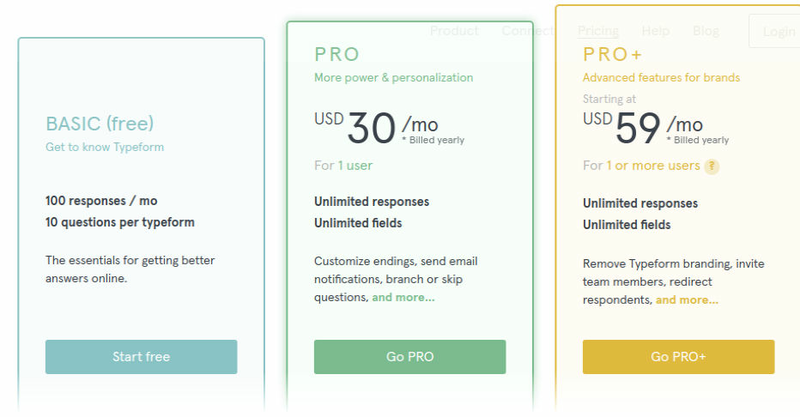 Typeform has 2 different plans such as - Pro at $30.0 per month and Pro plus at $59.0 per month. 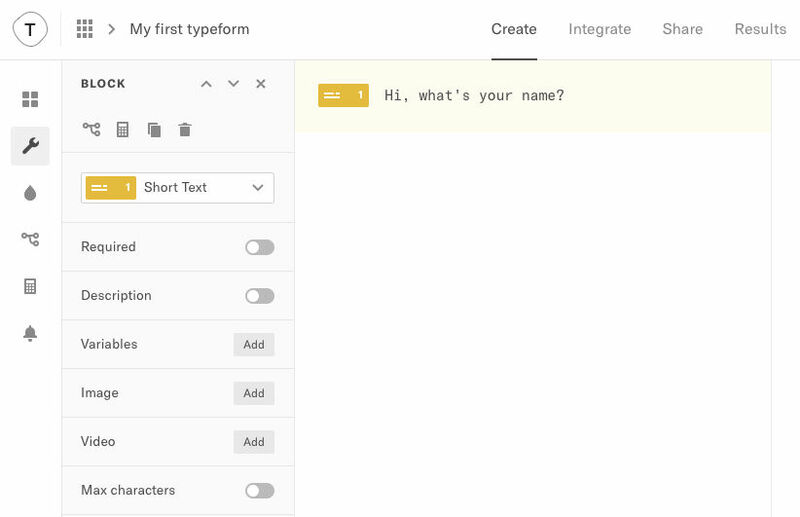 Typeform also offers a Free Plan with limited features. Disclaimer: The pricing details were last updated on 01/10/2018 from the vendor website and may be different from actual. Please confirm with the vendor website before purchasing. 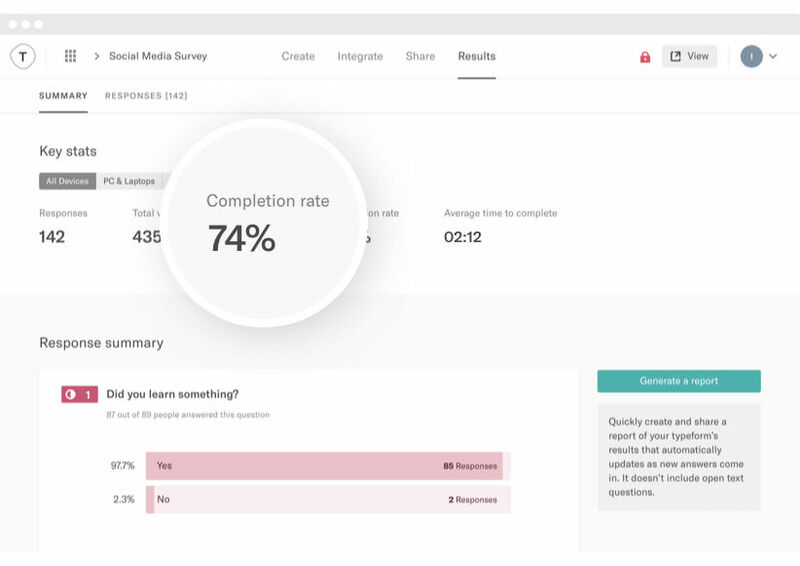 Pros: I love how you can create surveys for customers with a simple interface, and manage the user flow too based on their answers. It is also great to be able to apply custom branding, without having to fork out for an Enterprise level plan, which is refreshing. 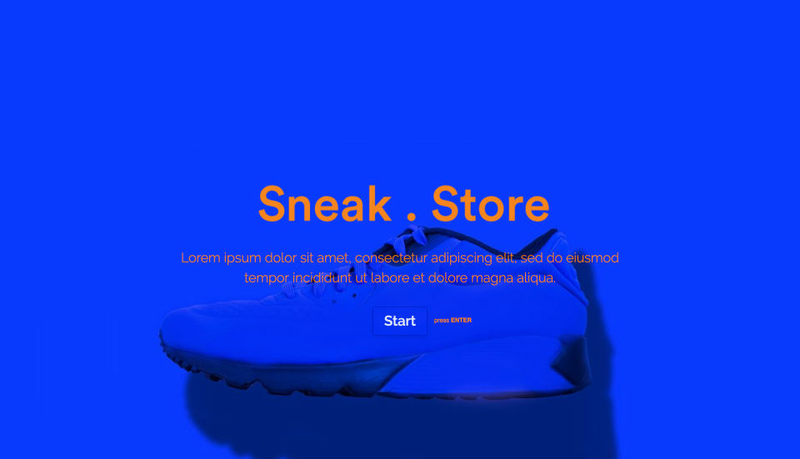 Cons: The new editor is terrible - the older version was much easier to work with. For example, pressing enter on the keyboard will add a new section, instead of a line break, which can be annoying. Overall: We wanted to reach out to customers in variety of ways, and Typeform allows us to do just that. 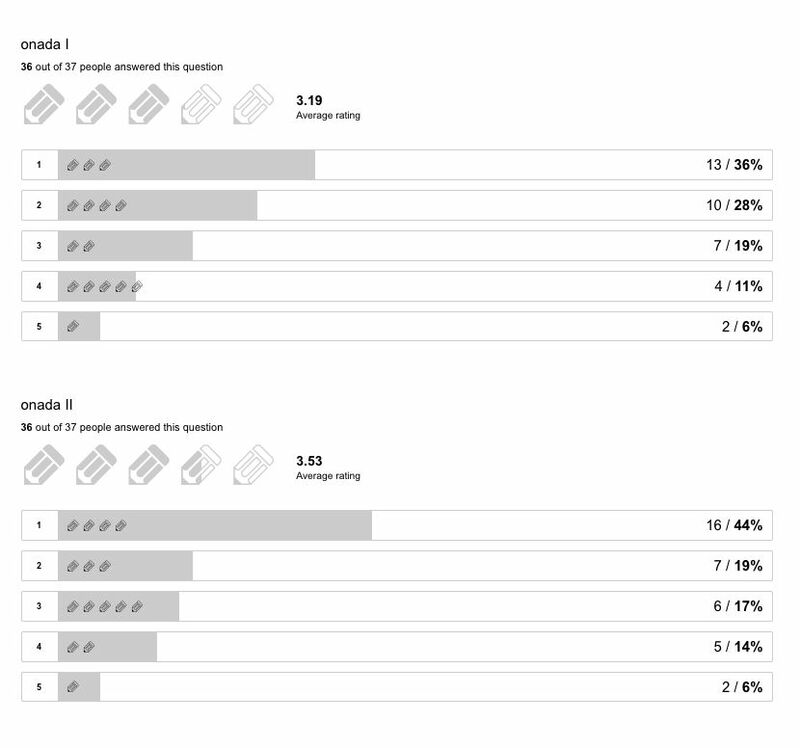 I love the ease of use of creating a survey and reviewing the data. I also love that I can turn on notifications to receive an email each time I get a new response - this is great when I am using Typeform as a sign-up form. Because it is such a simple survey tool it is best only for short simple surveys and not complex surveys with lots of data analysis. "Amazing - can't live without it!" Ease of use for advanced logic jumps and variables. 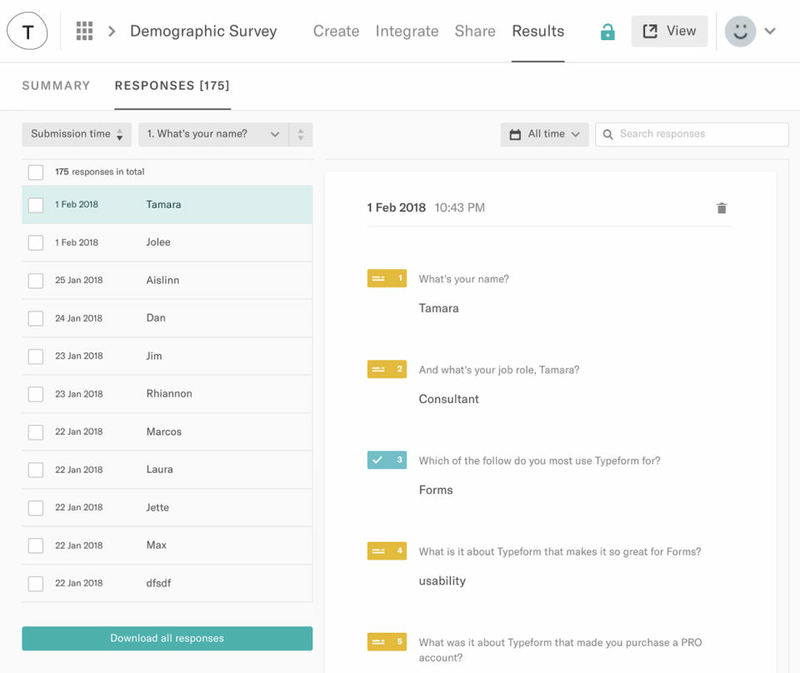 "Typeform is the best survey tool by far"
The datamodel when you collect responses from their API could be improved. Tranforming results to go into a SQL system is always a pain. Pros: I like that they offer a free trial which gives you a good sense if the product is going to be viable or not. It gave us an opportunity to test the waters and see how we could better collect data and turn that into engagement with our congregation. Cons: I have yet to have any issues with Typeform so far. We have been using the free trial trying to gauge whether or not purchasing a monthly plan would be beneficial for us. Overall: Data collection and engagement with our church congregation. 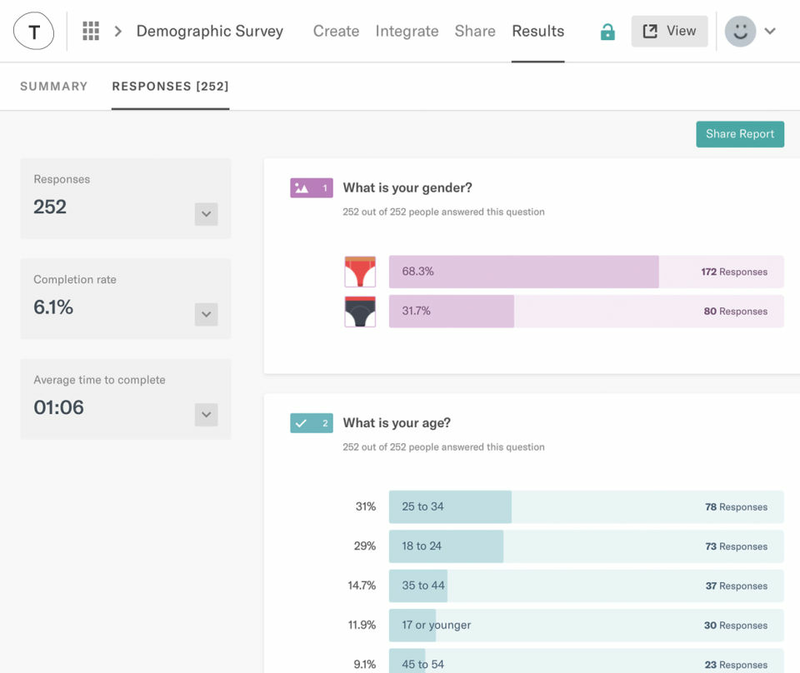 "The best tool for survey"
Typeform helps us to organize meetings, gather feedbacks from our users and can also be used to organize contests. "Very easy to make surveys!" Easy to use, looks great, easy for users. The feel of the program is awesome! The functionality of the forms and the logic could be better. I would like to see a better functionality for saving and cloning reports. I would like to see a much better process for exporting. 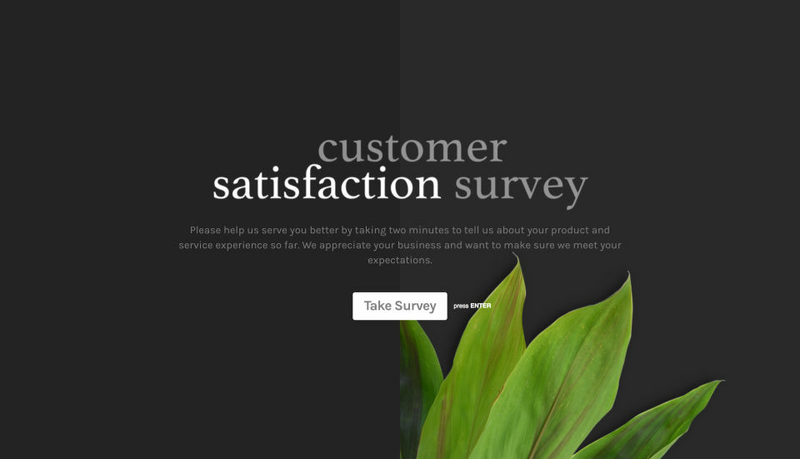 Shopper Application and surveys for our brand.